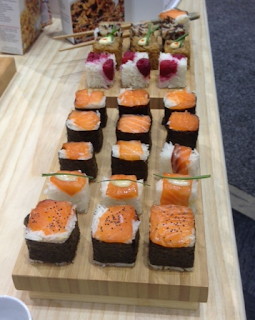 I just wrapped up four productive days at The International Home + Housewares Show at Chicago's McCormick Place. The show, which had 2100+ exhibitors, includes companies from across the spectrum in both category and size. The show stands out for its over-the-top displays, new product introductions, celebrity chefs, and endless product demos, which often conclude with samples of coffee, fresh squeezed juice, or dessert (if you ever attend the show, don't buy breakfast, just start your day in the Lakeside building). Drink lots of water...because you probably have a lot of water bottles: water bottles that are good for the planet, ones that filter your water, ones that infuse your drink with flavor, and ones that fold up when you are done with them. People must be buying lots of water bottles because more companies are entering the category each year. Make it yourself: beer, cheese, bread, wine, mushrooms, and more. The maker movement extends into the kitchen where amateurs can buy a DIY kit for a range of products that one would typically buy at the store. Beer kits were most prominent at the show, with a couple of new exhibitors offering home brew kits. One could include Sodastream in this category as well, which has spurred a number of similar DIY fizzy drink makers. It's a great time to be a "celebrity" chef. Many famous (and some not so famous) chefs have lent their names to cookware, cutlery, and kitchen product brands. Some of the best known ones are Emeril Lagasse, Guy Fieri, Paula Deen, Cat Cora, Mario Batali, Wolfgang Puck, and Rachael Ray. As the big brands have scooped up all of the big name chefs, a number of smaller brands have brought on lesser known ones. These chefs often have a solid following but have not yet become household names. It seems that more of them appear every year. Kalorik introduced the Rollie, a cooking appliance that is great for cooking eggs and other snacks. 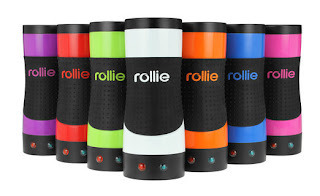 The Rollie cooks eggs while shaping them into a tube form. While this might sound odd at first, it is a lot of fun, and allows for very creative cooking (see some recipe suggestions here). I tried an egg wrapped sausage which was quite tasty, and it was fun to watch the Rollie in action. Remington introduced iCoffee, which has a new patented SteamBrew™ brewing method. The coffee beans go through the unique process, which ensures a full yet smooth flavor and no bitterness. 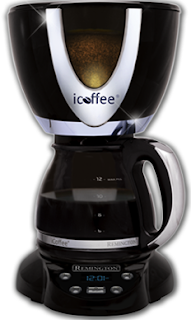 I never drink my coffee black, but I tried it with the iCoffee brew and was pleasantly surprised. The coffee had the fullness of an espresso, but was quite smooth. 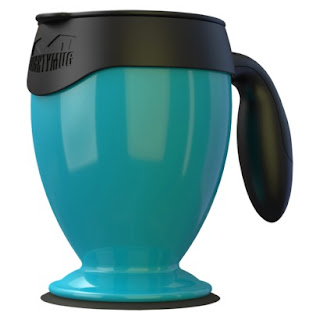 Mighty Mug: A mug that cannot be knocked over! Al Smaldone came up with the idea for this product because he is a tea drinker, and he sips tea at his desk throughout the day. With his computer and other electronic equipment within a spill's reach, a standard mug just does not cut it. The Mighty Mug has a wide suction cup base that prevents it from tipping. You do not have to be a sushi chef to make beautiful looking sushi. The Rice Cube is a simple device that allows anyone to mold rice and ingredients into professional looking, cube-shaped sushi. 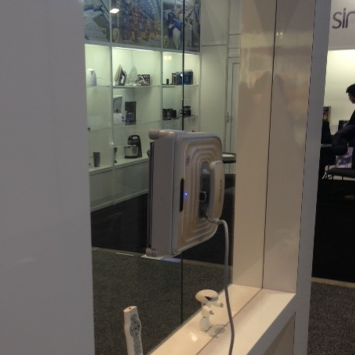 Window Cleaning Robot: this product likely does not apply for city dwellers, but if you have hard to reach windows, it is extremely cool and fun to watch. the mighty mug and rice cube are nothing short of fantastic!